O&P Associates is recognized for achievements in the areas of Organizational Management, Patient Care Standards, Quality Assurance, Supplier Compliance and Facility and Safety Management. This award represents the highest level of accreditation achievable in the profession of orthotics and prosthetics. 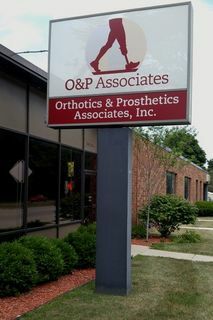 The American Board for Certification (ABC) in Orthotics, Prosthetics and Pedorthics, Inc. has been credentialing practitioners and organizations since 1948 in accordance with established standards of excellence in the delivery of comprehensive patient care. A not-for-profit organization, ABC’s mission is to encourage and promote the highest standards of professionalism in the delivery of orthotic, prosthetic and pedorthics services.